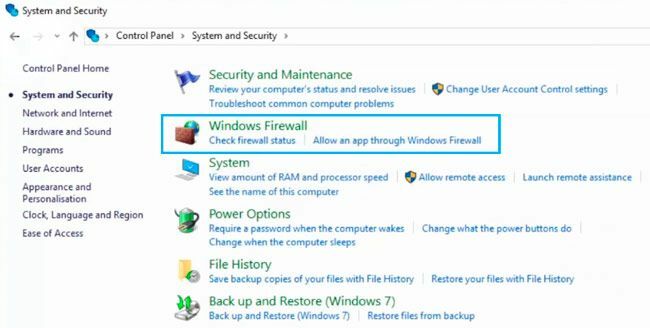 This time we are going to show how you can easily backup and restore Windows 10 Firewall settings. 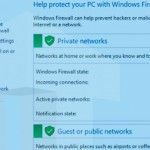 It can be useful when you want to reset your Firewall settings, reinstall them or whatever, but want to keep your current Firewall settings and configuration. At first we need to go to C: and create a new folder (for example Firewall Config), where we are going to keep all our Firewall backups. Now open your Control Panel => System Security. 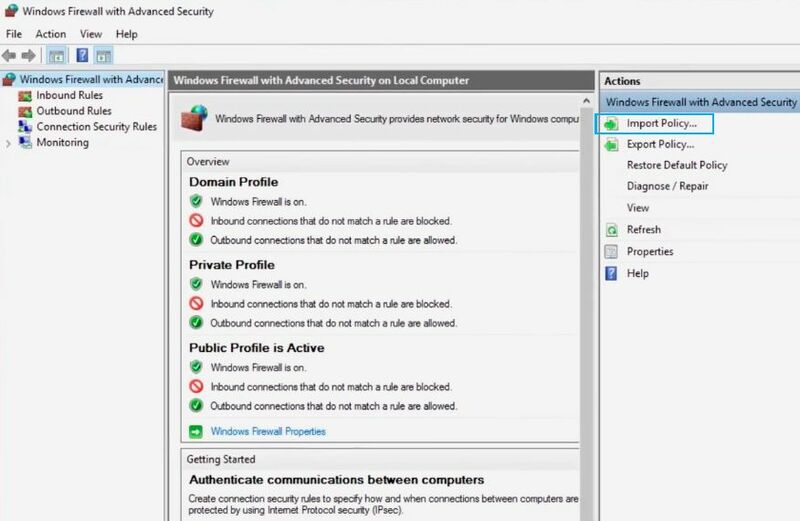 Here you need to click on Windows Firewall. 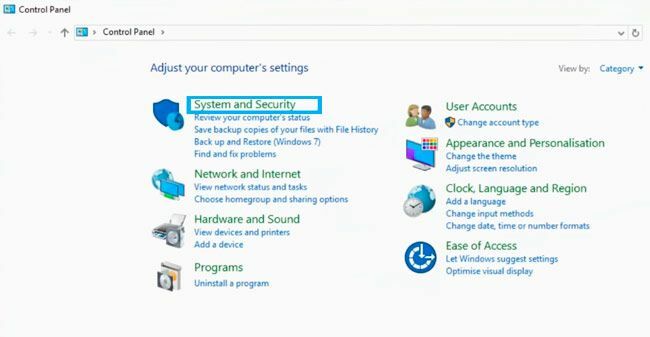 In new window go to Advanced settings. 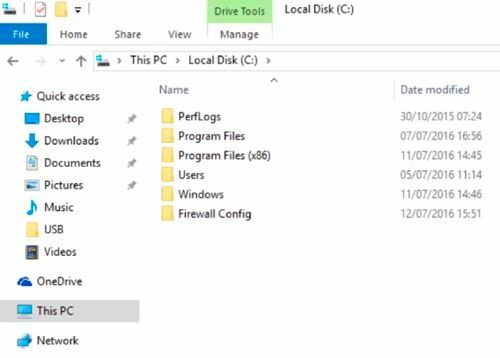 Here you will find an advanced tool to control your firewall settings. This tool is same for all versions of Windows OS. Now click on Export policy in the right corner. 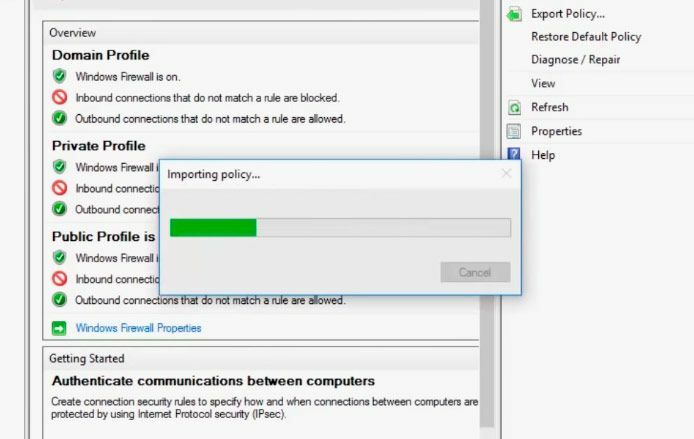 Here you can export policies for Windows 10 Firewall. 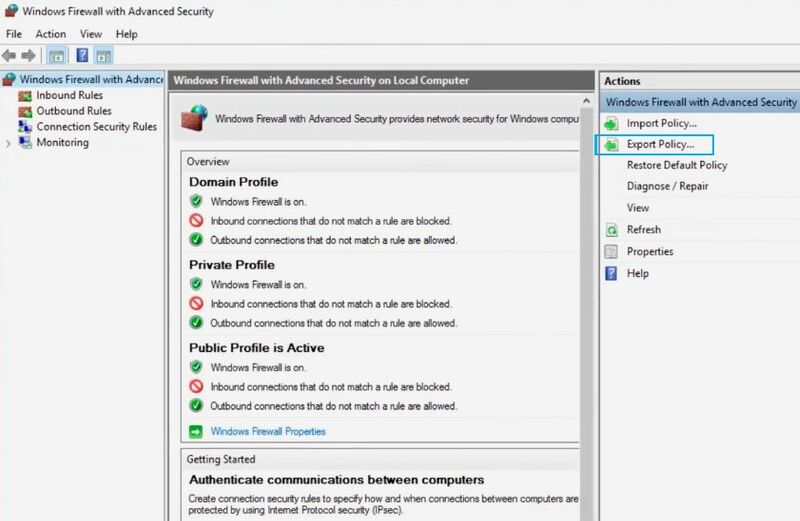 Export new policy and name it firewall-config.wfw. After that save it to folder Firewall Config on C: and wait until policy successfully exported. Now let’s click on Restore Default Policy and then on Yes. 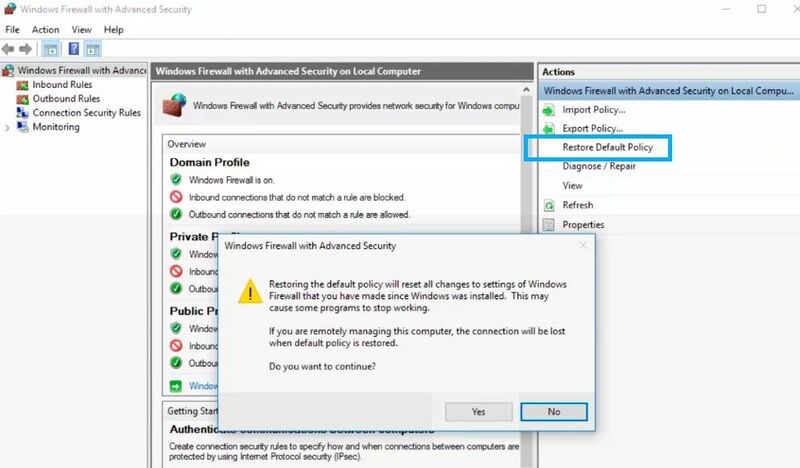 Now you will get a new message in a window, that all policy settings are restored to default. 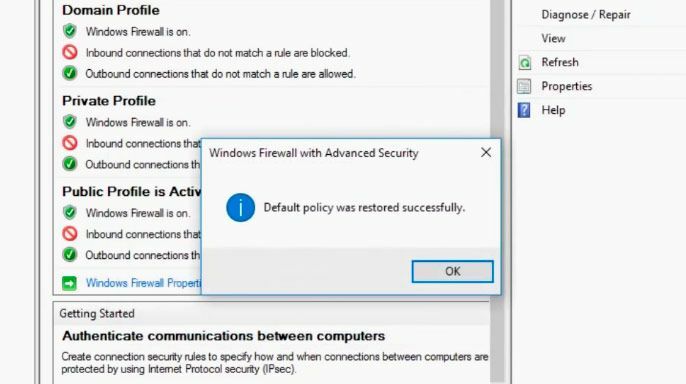 Now we want to restore our previous Firewall settings. 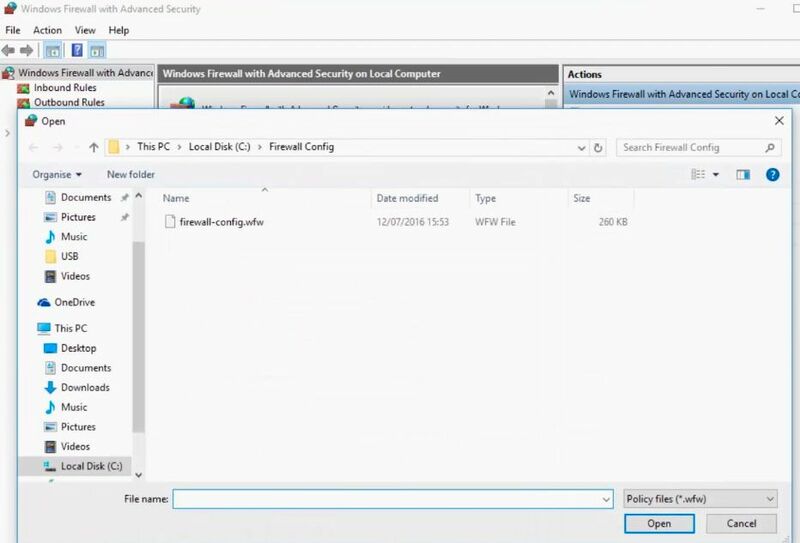 To do that we need to click on Import policy and choose firewall-config.wfw in Firewall Config folder that we created before, then click on Open. Now wait until Policy import process will be finished. That’s it! 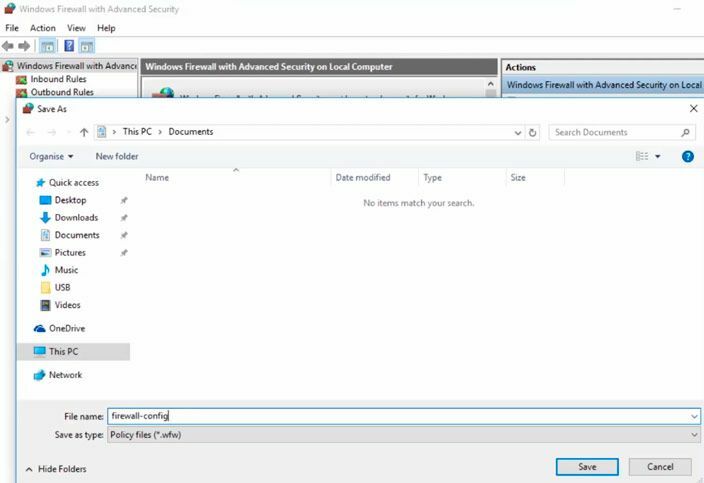 This time we discussed how to reset, export and import current Firewall settings in Windows. Hope this was useful!